As those iconic words crawled across the screen, 1977’s Star Wars: A New Hope, a story about a young man with a destiny, became an instant classic. With a reinvigorated outlook following the release of The Force Awakens, never has the franchise been more popular, and the story will continue when Episode VIII hits theaters in 2018. But wait: there are more stories to tell beyond the “It’s Complicated” nature of Luke Skywalker and his relationship with the Force. First up: we’re going to find out how the secret Death Star plans—mentioned in the opening crawl—were acquired. You didn’t think they were just left unguarded in an office, did you? 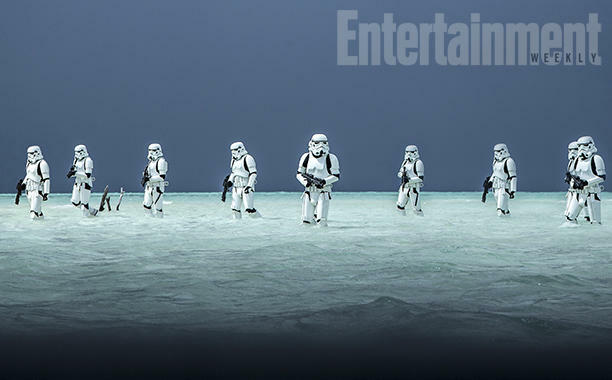 We’ll finally get answers when Rogue One: A Star Wars Story hits theaters this December. People who follow the franchise probably already know how it all went down. Before Star Wars mythology was wiped in 2014, the Battle of Toprawa proved to be a key victory for the Alliance to Restore the Republic, allowing rebels to transmit the plans to Princess Leia Organa. These events take place immediately before Star Wars: A New Hope, which opens with that famous scene of a Star Destroyer Devastator in pursuit of Leia’s ship, the Tantive IV. Leia manages to make it to the desert world of Tatooine, where she then stashes the plans in the memory of an astromech droid, R2-D2, along with the now-famous holographic recording meant for Obi-Wan Kenobi. If you sift through the trove of Expanded Universe lore, it’s easy to see why Disney and director Gareth Edwards were inspired by Toprawa. Because the Star Wars EU is no longer canon, however, Disney has full license to tell a new interpretation of how the Death Star plans were acquired. That means introducing a cast of new heroes, and even a new villain or two. Thus, the very secret mission of Jyn Erso and her motley crew. Like Luke Skywalker’s lightsaber, the Death Star plans have remained an important piece of Star Wars mythology. They were never the saga’s main focus, but they played an integral part in A New Hope, helping the Rebel Alliance expose a fatal flaw in the Death Star’s design. After that, the plans don’t show up in physical form again but we do get our first glimpse of the super weapon in the final moments of Revenge of the Sith, which George Lucas said was exactly the same one seen in A New Hope. Apparently, it took the Galactic Empire 19 years to build because of “union disputes and supply problems.” Some of the more intricate details surrounding the ship’s construction are talked about in James Luceno’s novel Tarkin. Once the Death Star was completed, the mega-ship came to represent everything the Empire was about; it was the ultimate expression of tyranny, a symbol of destruction and fear. 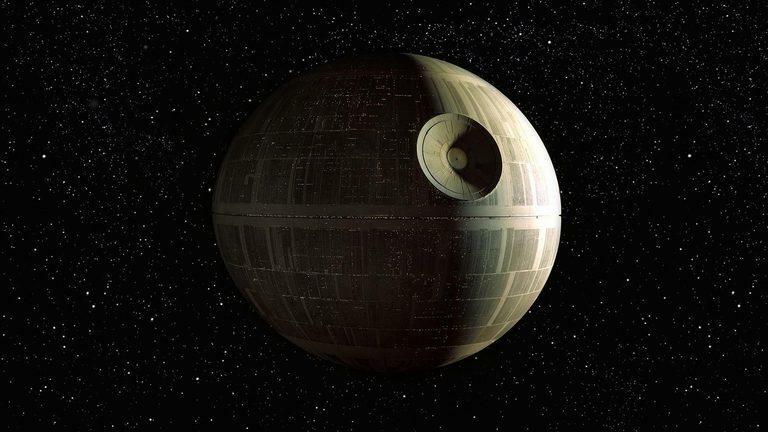 The moon-sized battle station was capable of destroying entire planets using a super laser powered by giant kyber crystals (the same crystals that power lightsabers). Up until A New Hope, there was nothing like it, and the Empire used it with extreme prejudice against its enemies. We actually see it destroy Princess Leia’s home planet of Alderaan, killing billions. Luckily, there was a fatal flaw. “If the Rebels have obtained a complete technical readout of this station it is possible, however unlikely, that they might find a weakness and exploit it,” General Cassio Tagge says in A New Hope. “The plans you refer to will soon be back in our hands,” Darth Vader responds. Despite Vader’s confidence, the Empire isn’t able to reacquire the plans, allowing the Rebellion to not only find a weakness but completely destroy the Death Star with one shot. You’d think a mega weapon that took almost 20 years to complete wouldn’t have any major weaknesses, and yet. Whoever drafted the original plans should be fired. The question of the day is how the Rebellion came into possession of the plans in the first place. When A New Hope was released, that piece of information was glazed over—almost like Maz Kanata’s dismissal of how she got Luke Skywalker’s lightsaber. 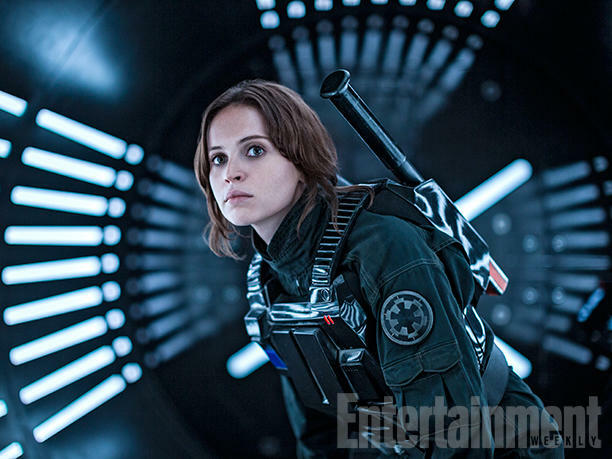 Here’s what we know: Jyn Erso, a young delinquent with knowledge of the Rebellion underground, will lead a group of interlopers (you can learn about the characters here) on a mission to acquire the Death Star plans. While Jyn doesn’t appear to have any unique knowledge of the Empire, she might have an ace up her sleeve (whether she knows it or not). It was recently revealed that Mads Mikkelsen is playing Jyn Erso’s estranged father, Galen Erso, a scientist with unique knowledge sought by both the Empire and the Rebellion. According to Lucasfilm president Kathleen Kennedy, Galen is supposed to be a tragic figure inspired by J. Robert Oppenheimer, an American theoretical physicist who played a major role in the creation of the atomic bomb. The fact that Galen is Jyn’s father might provide us with a big clue as to how the Rebellion comes into possession of the Death Star plans. According to a rumor from earlier this year, Galen becomes remorseful after contributing a key breakthrough to the Death Star project, and eventually defects from the Empire. In an effort to redeem himself, Galen turns to Jyn, who then must deliver the plans to the Rebellion. This is just a rumor but it certainly sounds plausible. How else would such a ragtag team steal plans for the Empire’s most important—and iconic—weapon? Of course, it’s not going to be so easy—like I said, the plans won’t just be sitting at a Silicon Valley bar waiting to be snatched up—but we at least have an idea of how this will all play out. 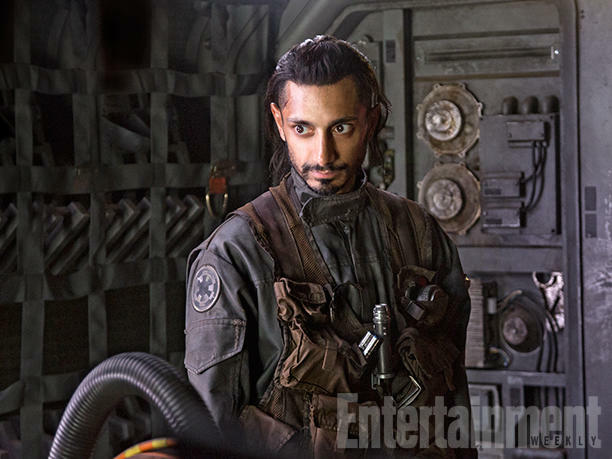 As the first spinoff from the main Star Wars saga, Disney isn’t shying away from shaping Rogue One into something much different than fans are used to. While a lot of the iconography will remain, the approach and direction are expected to stray from the typical Star Wars formula. Disney has repeatedly described Rogue One as a war/heist film, and the teaser trailer that was released earlier this year certainly reflects this new approach; it feels new but also familiar. 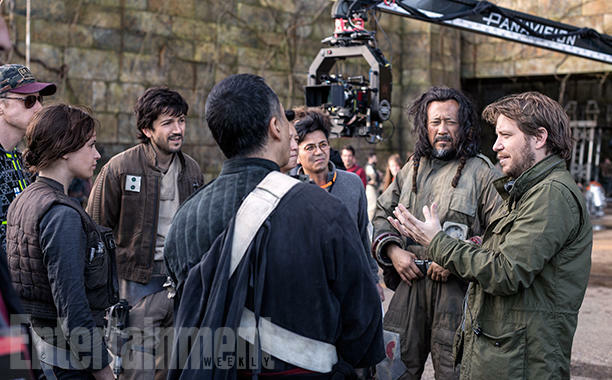 Disney said the directing style of Gareth Edwards will also be important to the movie’s experience. In addition to sweeping landscapes and wide, cinematic shots, Edwards’ direction will be much more visceral and chaotic—something we saw in 2014’s Godzilla. 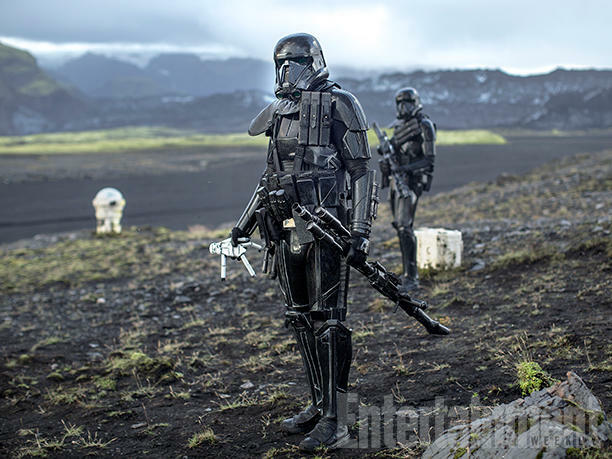 Not everything in Rogue One will be different, though. As it was recently confirmed, Darth Vader is indeed going to appear in the movie, a significant development because he’s a fan favorite (and great for merchandising!). 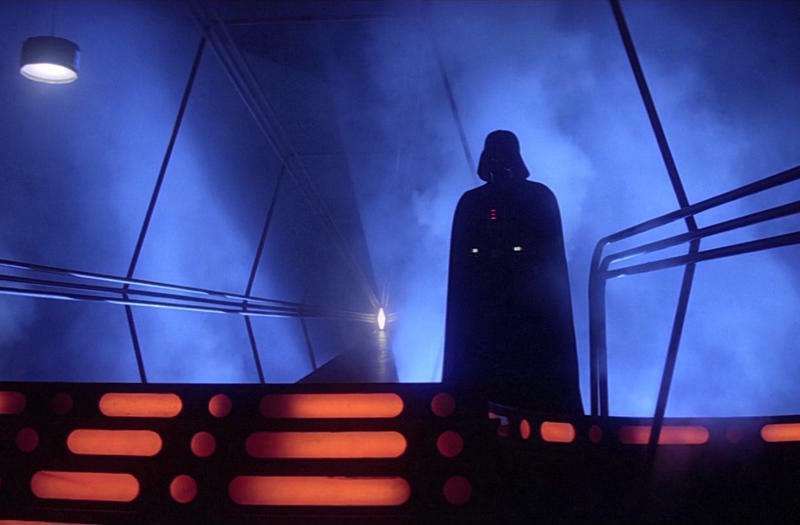 Last we saw on the big screen, Vader was standing aboard a Star Destroyer overseeing construction of the Death Star—that was all the way back in Revenge of the Sith—so it will be cool to see him wreaking havoc once again; it’ll also be awesome to hear James Earl Jones lend his smooth baritone to the character. Apparently, Vader doesn’t really get involved in the Empire’s politics in Rogue One though he’ll still play an important part in the story. “At a key, strategic moment, he’s going to loom large,” Lucasfilm president Kathleen Kennedy recently said. Color me intrigued. Will he bring his wrath down upon Galen for betraying the Empire? Will Jyn survive the heist? 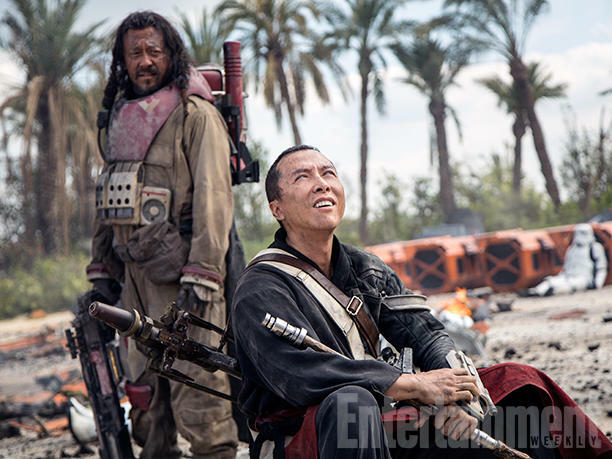 Another familiar character, Saw Gerrera, has also been confirmed to appear in Rogue One. He’s not known as being part of the main saga though fans of the Clone Wars will probably recognize his name. It’s unclear how important Gerrera will be to the overall story, but from what we can tell he’s there to guide the team and impart wisdom. Earlier this year, we were worried Disney’s spinoff might get overshadowed by the success of last year’s The Force Awakens, and with rumors of major reshoots, Rogue One is certainly in a precarious position. However, with Vader involved and plenty of cool inspiration to pull from, it sounds like Rogue One is going to live up to the hype. 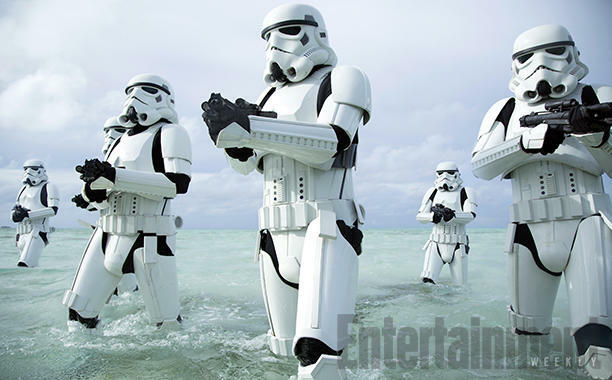 In addition to the first teaser trailer, some new photos from the film have been released, further highlighting just how different this new film is going to be; we never thought we’d see Stormtroopers chilling on the beach but here we are. Star Wars Celebration takes place in the middle of July, and Disney is expected to show off another brand new trailer for Rogue One (and possibly share some Episode VIII details), so we should get a much better feel for the movie soon. For now, we thought we’d address the question on everybody’s minds: how the hell did the Rebel Alliance get their hands on the Death Star plans? 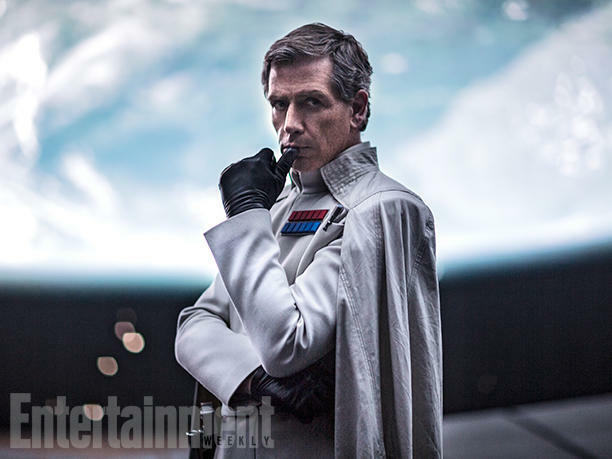 Rogue One: A Star Wars Story will give us the answer when the movie hits theaters on Dec. 16, 2016.